At The Pool Gurus, we deal with the leading manufactures Hayward, Zodiac, Davey, PureBlue, Onga, Waterco, Poolrite, Baracuda, Kreepy Krawley. We are highly experienced and trained in the latest pool equipment to make your pool servicing easy + low maintenance. Having the correct equipment and professionally installed can make a difference in the quality of your swimming pool. Pool pumps are a key piece of pool equipment to make sure your pool is properly filtered and sanitized. Your pool pump can be operating for most of the day, that’s why its important to consider quiet operation and energy efficiency when selecting your pool pump. The heart of a swimming pools circulation system, pool pumps are vital to the pool cleaning process. Essentially the pool pump takes used water from your pool and passes it on to the pool filter which then filters and sanitizes the water providing a much cleaner pool. Pool pumps are found in many different sizes and are generally classified based on the number of speeds at which they operate. It’s best to let a pool professional such as The Pool Gurus help with choosing the right pool pump and pool equipment for you. Saltwater pool chlorinators chlorinate your pool water with table salt. Water containing sodium chloride (salt) has a small electric current applied to it, which then converts into chloride ions and finally chlorine gas. When the gas dissolves back into your swimming pool water, then a pure chlorine solution is applied to your pool. There are many benefits of installing a salt chlorinator over more traditional sanitizers. There is no fussing with water chemistry all day, giving you extra time to enjoy the pool. Also, after the first batch of salt is added then you shouldn’t have to add any more for another 3 months. Furthermore, your salt cell shouldn’t need replacing for 3-5 years time. Salt will make your pool water cleaner, feel smoother, and lessen the chances of eye irritation and skin irritation. Salt chlorinators also reduce the usage of chemicals and waste so they are an all-round environmentally friendly pool equipment solution. The sand in your swimming pool needs to be changed every 3-5 years to ensure that it’s cleansing your pool properly. Cloudy water that is not related to water chemistry may indicate that the sand needs to be replaced. As sand ages, so too does its ability to clean pool water effectively. This happens as the tiny grains of sans loose their rough edges and as a result, become rounded. Round particles tend to lack the ability to trap debris and dirt. The sand also can clump or calcify leaving channels where the water passed through unfiltered. Swimming pool chemicals are a very important part of the pool cleaning process. They help to keep your pool water crystal clear and safe for swimming. They include bromine, pool chlorine, pool shock, algaecides, pool clarifiers, ph balances, stain removers, and pool sunblock. The Pool Gurus can help choose and supply the correct chemicals and pool supplies for your pool. Pool and spa chemicals are essential to help control the growth of algae and bacteria in your water. 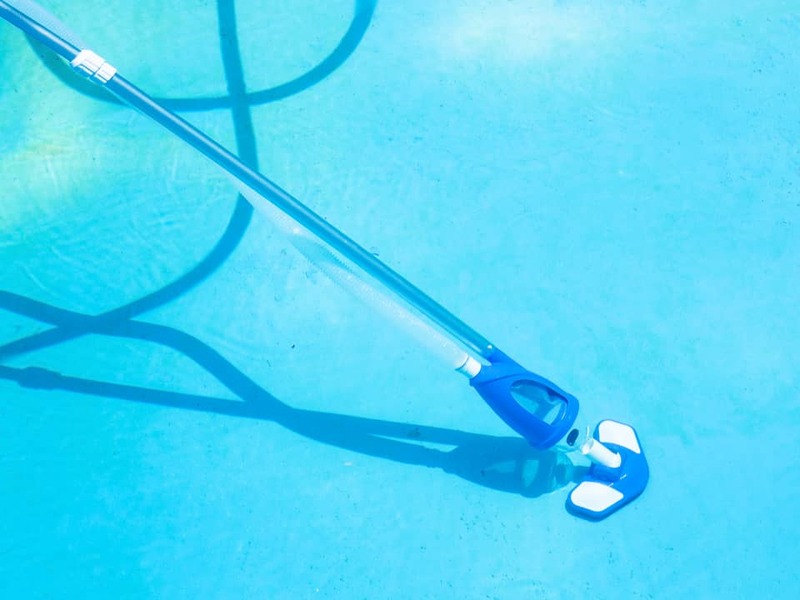 Each on operates differently so its worth getting a pool professional such as The Pool Gurus to help choose the best automatic pool cleaning equipment to suit your needs. Robotic pool cleaners are an exceptional tool that will take all the tedious and repetitive pool cleaning work off your hands. If you own one, then you definitely wouldn’t go back to using an automatic or suction pool cleaner. A highly intelligent unit, these pool cleaners look impressive when in operation, work independently, and require little attention. While more expensive, robotic pool cleaners make up for this by delivering savings on energy, water, and pool chemical bills. Robotic pool cleaners are by far the most efficient and effective, they can handle any type of debris and dirt while vacuuming indirectly into the units won filter. The built-in smart technology also means they can learn and handle any type of pool shape. Not only do robotic pool cleaners help with pool cleaning, but they also circulate water in the pool keeping it nice and fresh for your next swim. Pool gas heaters are a popular way to warm a pool in most regions. The heating process is fast as the flame heats the water directly and can be fairly efficient. Gas heaters aim to keep the water temperature constant independently of external swimming pool temperatures – during cold weather they will, of course, require a greater amount of gas to accomplish this. It’s always a great idea to upgrade your gas heater model, older models tend to run a pilot flame constantly all day and night, while the more modern versions have pilotless ignitions – meaning that a flame is only on when the controller calls for more heat. Electric heat pumps are a great alternative for some regions of Australia where natural gas in unavailable. These heat pumps use electricity to heat your swimming pool water and use similar principles to that employed by air conditioners and refrigerators. Heat is extracted from the external atmosphere and redirected into the swimming pool water. When purchasing a pool pump there are many factors to consider in order to select the most efficient pump pool equipment for your pool. These include noise, functionality, energy rating and size. In general, it’s best to go for a larger size pump instead of saving upfront purchase costs on the smallest pump. Undersized pumps won’t run efficiently, struggle to operate, and could result in dirty pool water. Your pool pump size needs to match the volume of your pool and all measurements for the surface area should be taken into account. It’s best to select an energy efficient pump since your pool pump could use up to 70 percent of the total pool energy bill. Here’s a link to the energy ratings for most of today’s modern pool pumps. Finally, it’s best to select the quietest pool pump model so that you can run the unit during electricity off-peak to cut down your energy bill while keeping the neighbors happy due to reduced noise. Pool lights can increase your pools ambiance significantly on those hot summer nights. Its important to keep your swimming pool well-lit to not only make it more attractive but also much safer. The most popular types of pool lights include: flush-mounted underwater LED pool lights, flush-mounted underwater halogen pool lights, surface-mounted underwater LED lights, surface-mounted underwater halogen pool lights, pool garden lighting, LED flood lighting, halogen flood lighting, feature lighting, and submersible and floating LED lighting. Please get in touch with our pool professional staff who can help select and design your pool equipment lighting solution.